Baku has repeatedly advised Armenia not to repeat the mistakes of the previous regime and stop the policy of occupying Azerbaijani territories and ethnic cleansing. In accordance with resolutions of the UN Security Council, Armenia must withdraw its armed forces from the occupied territories of Azerbaijan. 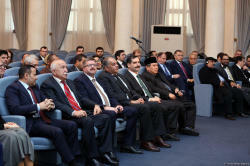 Azerbaijan will never agree to attract separatists to the negotiations as party. Azerbaijan holds its stance that the negotiations are impossible without the Azerbaijani community of Nagorno-Karabakh, all those who were expelled from their homes, whose relatives were killed. Armenia continues to consider that the people themselves living in Nagorno-Karabakh should determine their future, and illogically suggests that only Armenian community of Karabakh should take this decision. But what about the Azerbaijani community of Nagorno-Karabakh region? All the residents of Nagorno-Karabakh, including the Azerbaijanis expelled from their homes, must be involved in the process. This attempt by Armenia, in fact, legalizes separatism. Baku will never lead the conversation on such conditions. A meeting of the board of the Azerbaijani community of the Nagorno-Karabakh region with diplomatic representatives of foreign countries and international organizations accredited in Azerbaijan was held on January 29. 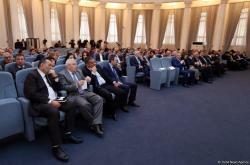 Hajiyev recalled the grave consequences to which the Armenian-Azerbaijani Nagorno-Karabakh conflict resulted, reminded the participants of the event the position of the international community in connection with the conflict settlement and the requirements of four resolutions. Then, he about the consistent policy pursued by the Azerbaijani government to improve the living conditions of all internally displaced persons and refugees, as well as the concern of President Ilham Aliyev to the families of martyrs. He said the constructive work carried out in Jojug Marjanly, ensuring a dignified and safe return of internally displaced persons, once again demonstrates the determination of Azerbaijan to restore all the territories that will be freed from occupation, to establish peace and development. 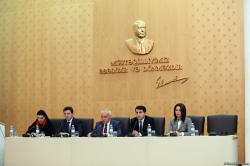 Deputy Foreign Minister Mahmud Mammadguliyev also spoke about the serious consequences of the Armenian-Azerbaijani Nagorno-Karabakh conflict and noted that hundreds of thousands of Azerbaijanis living in the occupied Nagorno-Karabakh and surrounding areas were forcibly expelled from their homes. Mammadguliyev stressed the importance of releasing the Azerbaijani territories from occupation in the framework of the conflict settlement and the return of internally displaced persons to their homes. He in particular stressed the importance of restoring contacts and dialogue between the two communities of the Nagorno-Karabakh region of Azerbaijan. 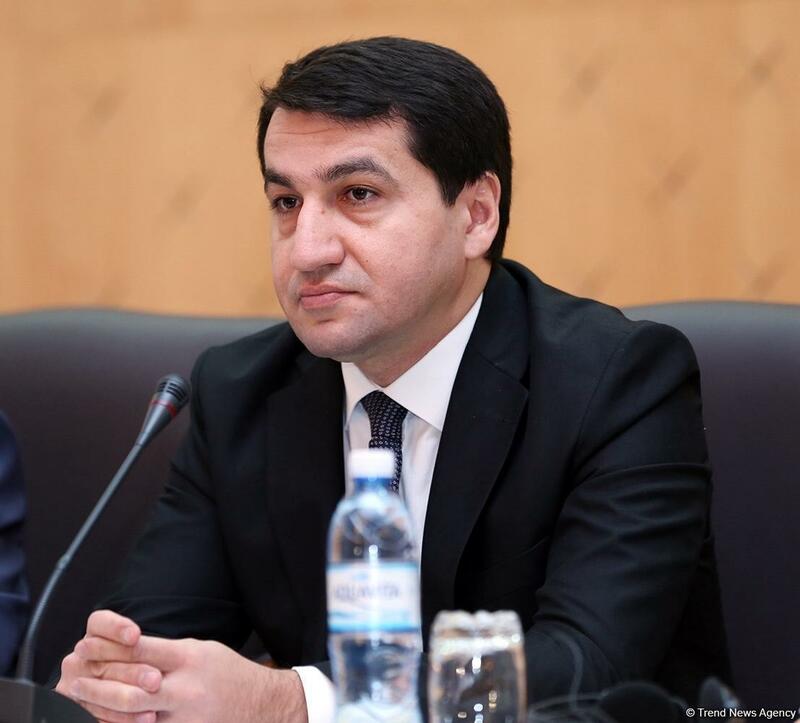 Mammadguliyev noted the significance of restoring the violated fundamental human rights of internally displaced persons, including 80,000 people from the Azerbaijani community of the Nagorno-Karabakh region. 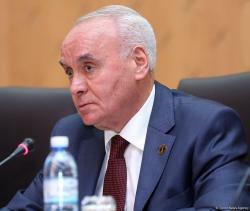 The head of the Azerbaijani community of the Nagorno-Karabakh region of Azerbaijan, Tural Ganjaliyev, noted that according to the OSCE resolution adopted in Helsinki of 1992, the Azerbaijani community is an interested party in resolving the conflict. Ganjaliyev said that the Azerbaijani community is ready to establish contacts and constructive dialogue with the Armenian community of the Nagorno-Karabakh region. 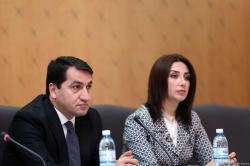 Next speakers, members of the Azerbaijani community board from Khojaly, Durdana Aghayeva and Samira Guseynova, noted that before the occupation of Khojaly, they lived together with the Armenians in an atmosphere of prosperity and stressed that the peaceful Armenian population had become hostage to the Armenian aggressive policy. 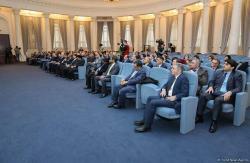 During the event, other members of the Azerbaijani community of the Nagorno-Karabakh region addressed their questions to representatives of the diplomatic corps in Azerbaijan.